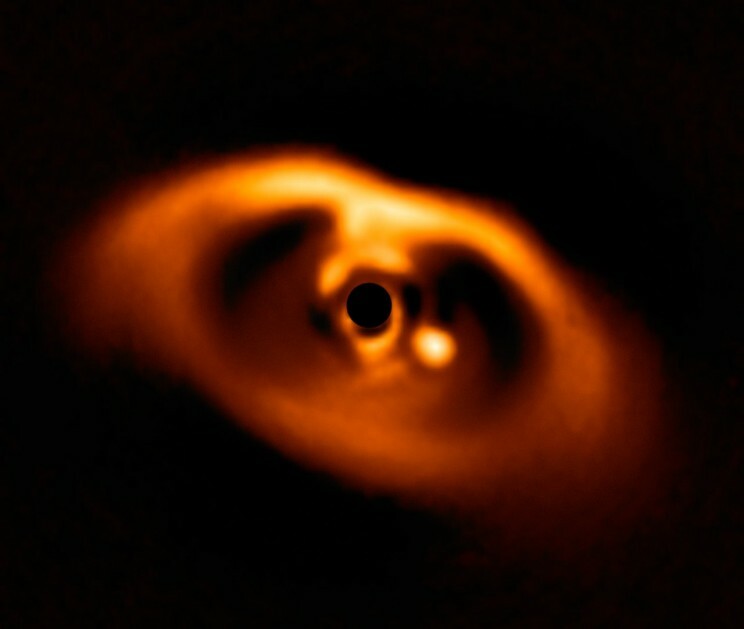 Astronomers have amazingly captured the first confirmed photo of a planet’s birth. The incredible snapshot shows the formation of the young planet named PDS 70b emerging from the dwarf star PDS 70. The presence of a coronagraph, a mask blocking the blinding central star’s light, made the photo possible. The coronagraph can be seen in the dark region at the photo’s center. Its light-blocking properties made the star’s disc and baby planet visible. The revelation is presented in two papers released this week by the European Southern Observatory (ESO), and soon to be published in the journal Astronomy & Astrophysics. The astronomers led by the Max Planck Institute for Astronomy in Heidelberg, Germany captured the said snapshot. The photo also shows PDS 70’s sculpted transition disc, which is an inner gap stated by scientists for decades as being the result of disc-planet interactions. The snapshot was taken using the SPHERE instrument on ESO’s Very Large Telescope which also allowed the team to record the new planet’s brightness to get its atmosphere’s properties. The team also found out that PDS 70b is a giant gas planet bigger than Jupiter and with a surface temperature of around 1000 degree C, far exceeding any hot planet in Earth's Solar System. A new team was commissioned to probe further the baby planet. The new scientists were successful in getting a spectrum of the planet that revealed a cloudy atmosphere. Keppler’s results gave the second team a new window onto the complex and poorly-understood early stages of planetary evolution. The data acquired on the new planet’s atmospheric and physical properties will now permit the astronomers to test theoretical models of planet formation. The new discoveries were made possible by ESO’s SPHERE instrument that uses a unique technique known as high-contrast imaging which enables it to employ observing strategies and data processing systems to capture the faintest of signals. SPHERE's photos are the result of two survey programs called SHINE (SpHere INfrared survey for Exoplanets) and DISK (sphere survey for circumstellar DISK). SHINE aims to image 600 young nearby stars while DISK targets knew, young planetary systems and their circumstellar discs. On February 5 1985 we saw a sea serpent in San Francisco bay.